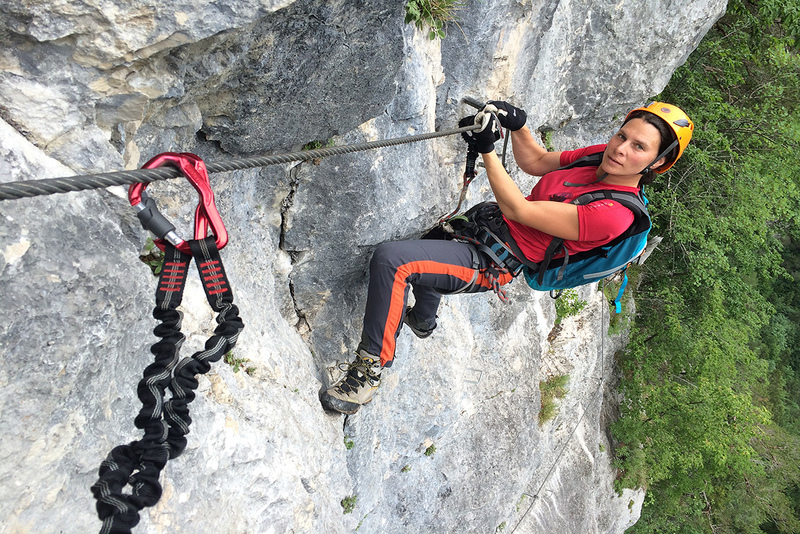 If you plan to set off on an independent adventure on very demanding and challenging trails in the heart of the Karawanks mountains or the Julian Alps and would like to ensure your safety, you can hire via ferata sets and other mountaineering equipment in Mojstrana. Hire charges are paid on receipt; equipment should be returned to the same place as it is collected. Equipment hire is not insured against theft or damage, so please be careful when handling it. In the event of loss, damage or theft, you are liable for a charge of 60% of the in store price. A 10% discount is offered when over 10 sets are hired in one booking. A 10% discount is available for families and students. Equipment can not be hired for more than 8 days.